Before you start, ensure that all the prep is done; all the peeling, chopping, grating, rinsing complete, set aside. Cook the noodles according to the instructions on the package. In a cold pan, add 3 tablespoons of toasted sesame oil, line the bottom of the pan with a layer of onions, then the slices of meat, garlic and ginger. Cover the pan and place it on the heat to cook for 5 minutes. No need to add liquid as the meat’s juices will trickle down and moisten the bottom of the pan. After that, open the pan and stir the content to allow all the ingredients to mix. Add 2 tablespoons of dark soy sauce, black beans sauce, adjust salt then cover to simmer for 3 minutes. Now add the vegetables and stir to make sure that they are completely covered with the sauce. Cover the pan and leave on the heat for about 2 minutes, then turn off the heat, leave the pan covered to allow the steam to finish softening the vegetables (in particular the Broccoli) without overcooking it. Serve as suggested and enjoy. 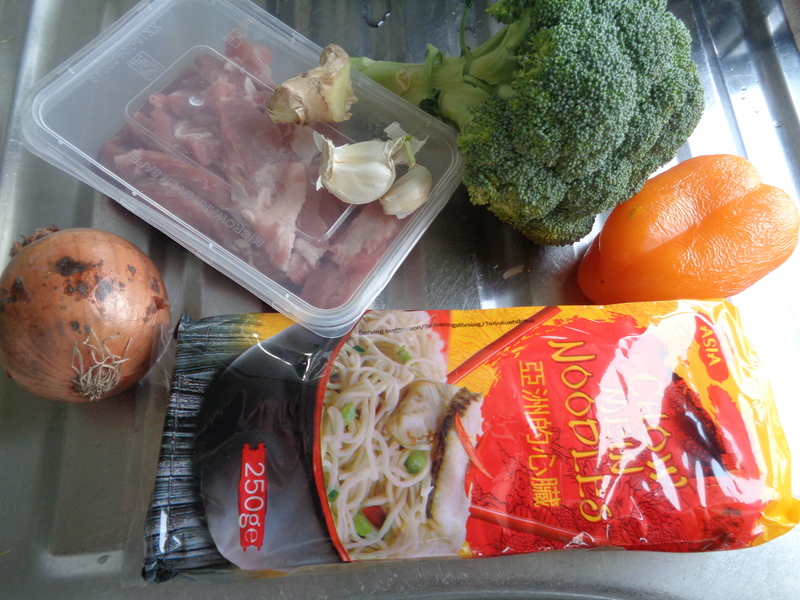 This entry was posted in Main meals and tagged blackbean, broccoli, pepper, pork, Sesame. Bookmark the permalink. 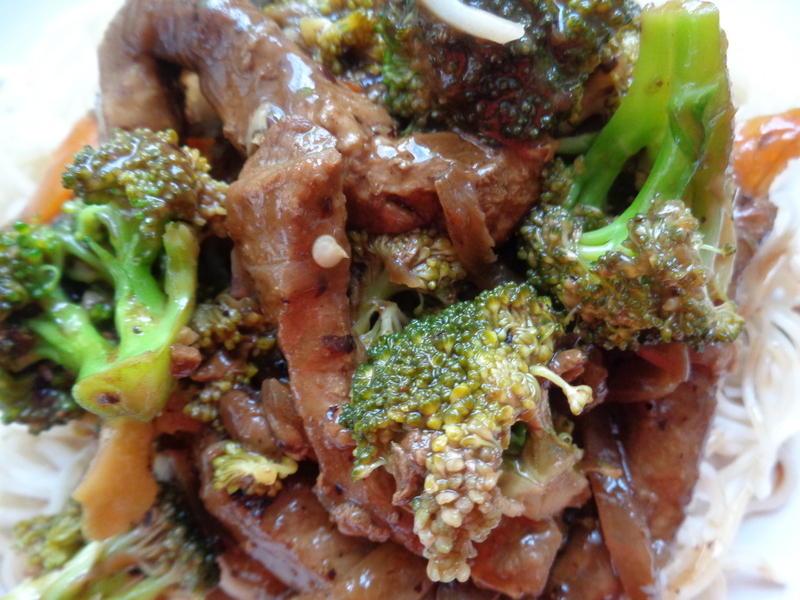 i love anything with black bean sauce! this recipe looks good!